For a variety of selection and harder to find beers, these bars will quench your thirst for only the best beer. 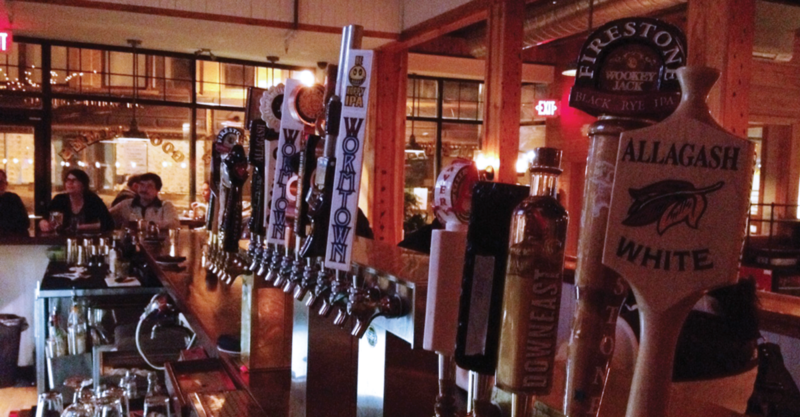 The “Love Handles” department in Craft Beer & Brewing Magazine® is devoted to great beer bars. 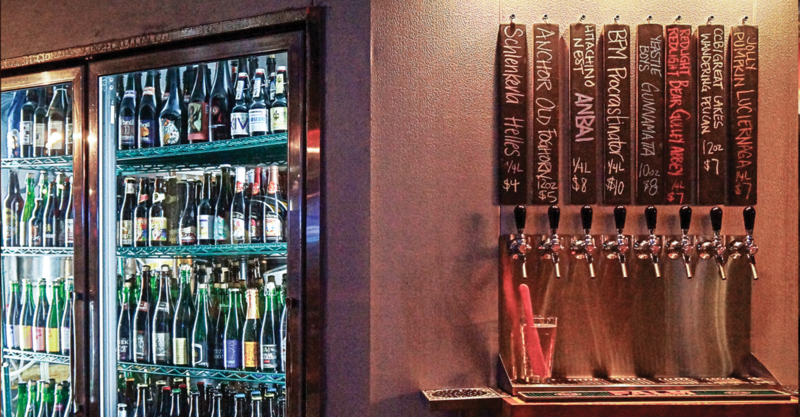 Here are the 15 beer bars where you’ll find local classics and some great bottle lists. A world-class selection of craft beer that you can mix and match in a six-pack and a friendly taproom with alluring beers. What it is: As lovers of fine food and fine beer, the founders of City Beer Store, Craig and Beth Wathen, often wondered about the lack of a beer-specific retail store and tasting bar in their much-loved city of San Francisco. City Beer Store opened in May 2006. The Wathen’s vision was to create a friendly community gathering spot to sip a beer while you browse the shelves. They believe that each customer deserves a unique individual shopping encounter, and they work closely with the staff to provide this experience. They continue to source and seek out the finest offerings for the City Beer Store community. Creative tap list? Check. Gorgeous interior? Check. Friendly bartenders who love to guide your adventure in beer? Tørst delivers on all counts. What it is: The brainchild of Evil Twin Brewing impressario Jeppe Jarnit-Bjergsø, this relative newcomer to the NYC beer scene has quickly established itself as one of the best places for hard-to-find craft beer in the United States. Located in perpetually up-and-coming Greenpoint, it’s just far enough off the beaten tourist path to insulate it from gawkers, but only a quick walk from the L train in Williamsburg. Hours: Noon–midnight Sunday–Wednesday, noon–3 a.m. Thursday–Saturday. What it is: Boise probably isn’t the first place you think of when it comes to western U.S. beer cities, but this gastropub is making a convincing argument that it deserves consideration. With thirty-nine options on draft, a completely stacked cellar, and a thoughtful menu that includes the likes of duck confit poutine and käsespätzle, Bittercreek Alehouse checks all the boxes and then some. A slice of Belgium in North Chicago. Get there early. Stay all night. What it is: Known simply as Hopleaf, Michael and Louise’s Hopleaf Bar is a legendary beer bar with a focus on Belgian beers and food. 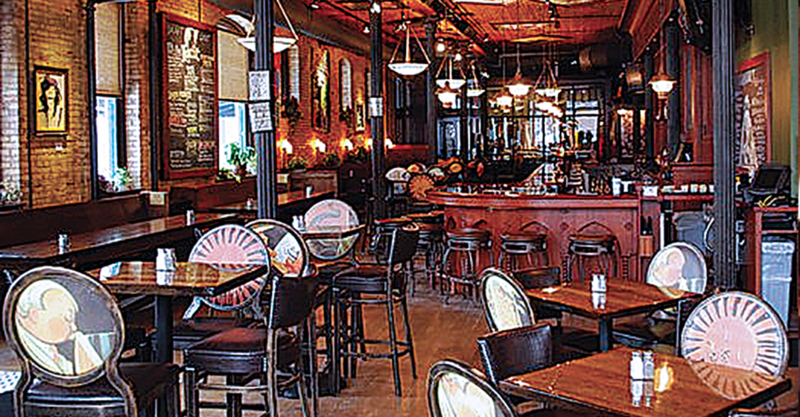 This outstanding gastro-pub is located in the Andersonville area of Chicago (north of downtown). Open late (3 a.m. on Saturdays), Hopleaf has more than forty beers on tap and more than 250 bottles from which to choose. 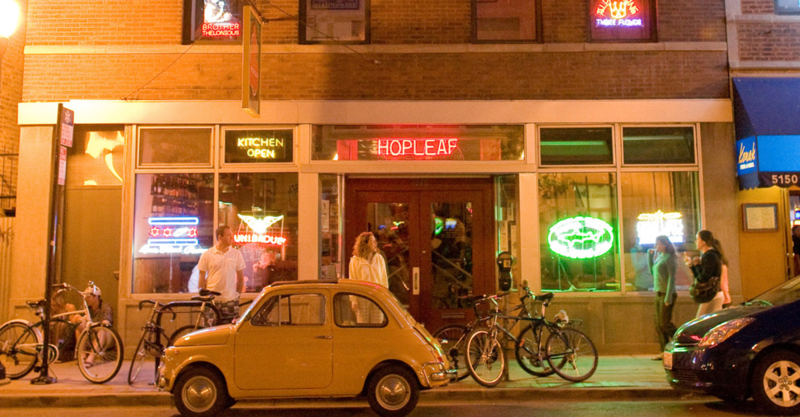 Hopleaf opened in 1992 and started serving food in 2003, making it one of the first gastro-pubs in America. Hours: Bar is open 12 p.m.–2 a.m. Sunday–Friday, 12 p.m.–3 a.m. on Saturday. Lunch is served at noon. Dinner hours vary. 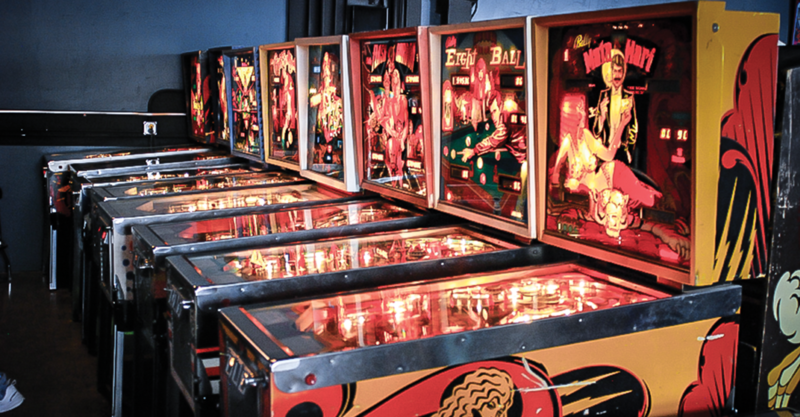 Vintage pinball arcade meets great craft beer tap list. What more could you ask? What it is: Formerly the home of Ninkasi Brewing Company’s studio for the Top Secret Records label, Blairally Vintage Arcade is a hidden gem of a beer bar tucked behind the brewery on Blair Boulevard in Eugene, Oregon. This spacious barcade, which is devoted to preserving, restoring, and sharing vintage gaming with the community, boasts one of the town’s best tap lists, with selections from Oakshire Brewing, Hop Valley Brewing, and of course, Ninkasi, among many others. Hours: 4 p.m.–2 a.m. Monday–Friday, 2 p.m.–2 a.m. Saturday–Sunday. What it is: The world’s most fervent beer lovers are quite possibly Belgians and Wisconsinites, so it’s no surprise that this cozy Madison-based Belgian bistro has been a huge hit with thirsty locals. With twenty-six constantly rotating taps and an ever-growing bottle list (and vintage cellar) to pair with Midwest-influenced Belgian cuisine, Brasserie V is becoming one of the top spots in this beer-drenched state. 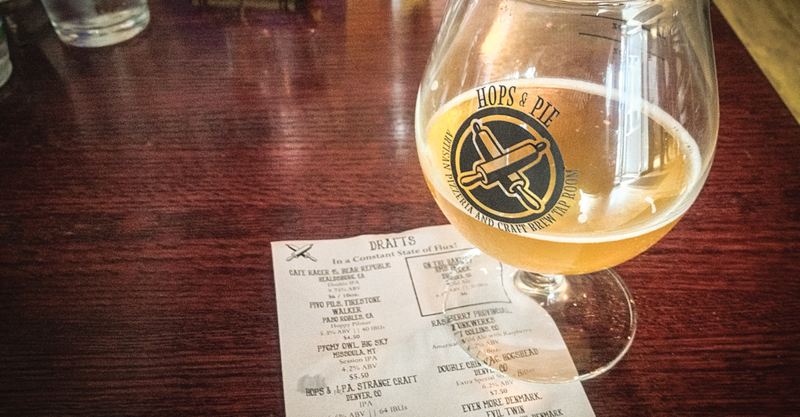 What it is: Hops & Pie is a neighborhood craft-beer and pizza joint that eschews huge tap lists for a tightly curated, but killer, lineup of some of the best beer available in Colorado. The pizza is creative and well priced (their pizza dough is made with beer), the beer list spans the craft spectrum, and the service is friendly and unpretentious. Its character changes from a casual family-friendly spot in the afternoons and early evenings to a serious beer bar as the night progresses. What it is: ChurchKey is a top-shelf beer bar whose selection rates among the best on the planet for maximizing the great and the unusual from around the world. ChurchKey and its downstairs restaurant, Birch & Barley, share a cellar of 500 bottles, but eyeballs first go to those fifty draft lines plus five cask handpulls. The menu organizes them by flavor category—Hop, Roast, Tart and Funky, and so on—with an eye toward pairing with the menu’s chef-driven fare. High-quality but unpretentious bar snacks are available upstairs, with more involved multi-course beer-pairing life experiences possible in the dining room below. Hours: 4 p.m.–1 a.m. Monday–Thursday, 4 p.m.–2 a.m. Friday, 12 p.m.–2 a.m. Saturday, 12 p.m.–1 a.m. Sunday. 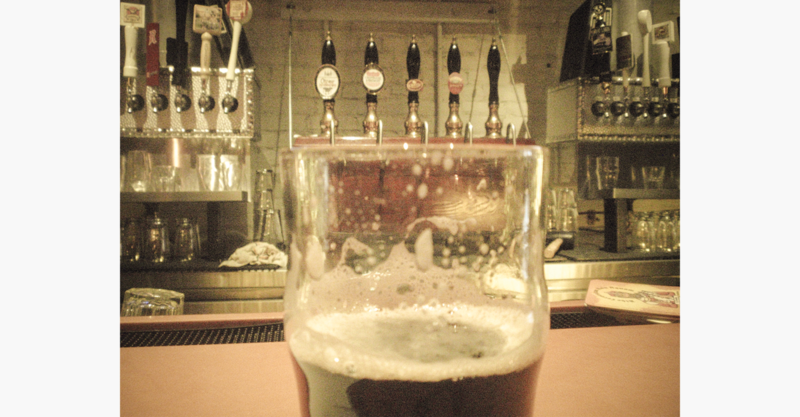 Address: 1337 14th St NW, Washington, D.C.
A voluminous beer hall in the hip Audobon Park neighborhood that caters to locals and beer tourists alike. What it is: Redlight Redlight is the place that beer fanatics from around Florida have gravitated to since 2005, thanks to its tremendous international tap list and exclusive beers from the growing Florida craft-beer scene. In addition, they’ve recently made the jump to brewing, with a nano-system on the mezzanine. Hours: 5 p.m.–2 a.m. daily. This cozy restaurant and bar in the Boston ‘burbs is packed with locals there for the American fare and the top-tier tap list. What it is: With a wood-fired oven pumping out flatbreads and a menu heavy on comfort food, Rail Trail could be confused with any number of run-of-the-mill suburban eateries, but the beer selection is part of the reason it remains packed even on weekday nights with a passionate crowd of smart craft-beer fans. Owners Michael Kasseris and Karim El-Gamal built that wood-fired oven with their own hands, and the same care and attention is paid to the thoughtful draft and bottle list. Hours: 11 a.m.–11 p.m. Monday–Thursday, 11 a.m.–1 a.m. Friday–Saturday, 11 a.m.–10 p.m. Sunday. 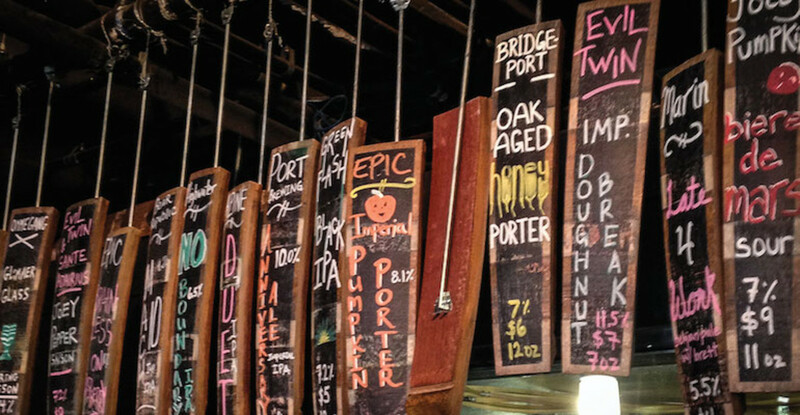 This classic destination in 2013’s Beer City USA is renowned for its expansive and exclusive tap list plus clever food pairings. What it is: HopCat is one of the world’s top-rated beer bars in one of America’s preeminent brewing towns. 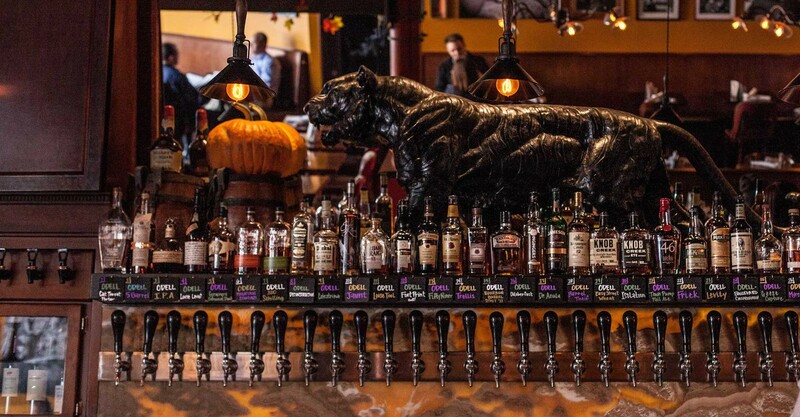 Just a stone’s throw from the brewing greatness of Founders Brewing Company and Brewery Vivant, HopCat offers a world-class selection of craft beers and brews up some pretty damn good beers of its own. Hours: 11:30 a.m.–2 a.m. Monday–Saturday, 12 p.m.–2 a.m. Sunday. What it is: The Great Lost Bear has been slinging beer since 1979, earning its reputation as a Portland institution and a haven for craft beer. Of the seventy-eight taps, most are pouring New England beers, and the highlights are from Maine’s great brewers—from classics such as a Gritty McDuff’s Black Fly Stout or an Allagash Curieux to the latest hoppy offering from the buzzed-about Bissell Brothers Brewing. The food menu is equally extensive and delicious; paper ephemera and old photographs hang throughout the spacious bar and dining room; and there’s almost always a pint deal or special event going on any night of the week. 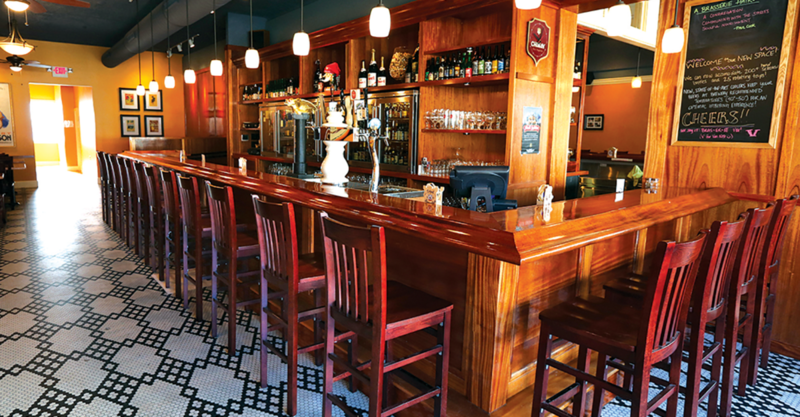 In salty, pub-heavy Fell’s Point, this taphouse was prolific before prolific was cool. What it is: The Fell’s Point waterfront area of Baltimore has a long history of catering to thirsty seafaring types, including the odd pirate. Today, it caters more to tourists, another thirsty type, still offering more pubs per block than anywhere else in the city. I wager it also has more taps per block, propelled mainly by Max’s Taphouse, an internationally known institution. These days it seems like every city has a place with fifty-plus fonts. Max’s was pouring from seventy of them a decade ago and currently has 140 plus five cask handpulls standing at attention down the long bar like shiny Marines. When those get boring (they won’t), there are said to be 1,200 bottles in the cellar. Hours: 11 a.m.–2 a.m. daily. 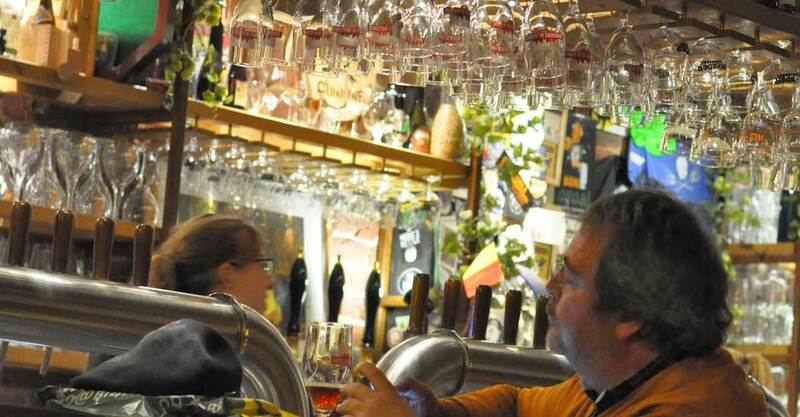 What it is: Brussels has an array of great cafés, but sometimes beer geeks pass through town, between trains, and have time for only one. Moeder Lambic is the one they choose. They arrive to find an ample terrace beneath a wrought-iron Art Deco awning. Inside is a long, modern space with simple wooden booths and a bar with forty shiny taps whose offerings are scrawled overhead in chalk. 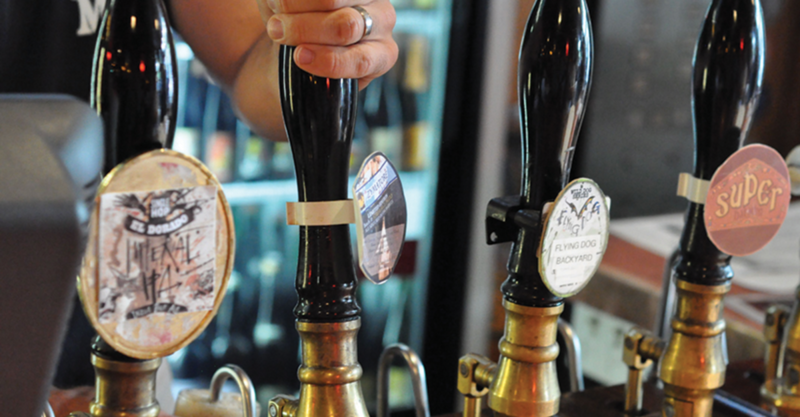 Behind the bar are an additional six cask hand-pulls, most dedicated to pumping authentic lambics; sparklers on the fonts add froth for presentation. Bottled beers are virtually all 75cl, carefully chosen, and meant for cellaring and eventually sharing. An oasis of creative beer in Montreal’s Little Italy, where the locals hang and visitors can try the best of Quebec’s breweries. 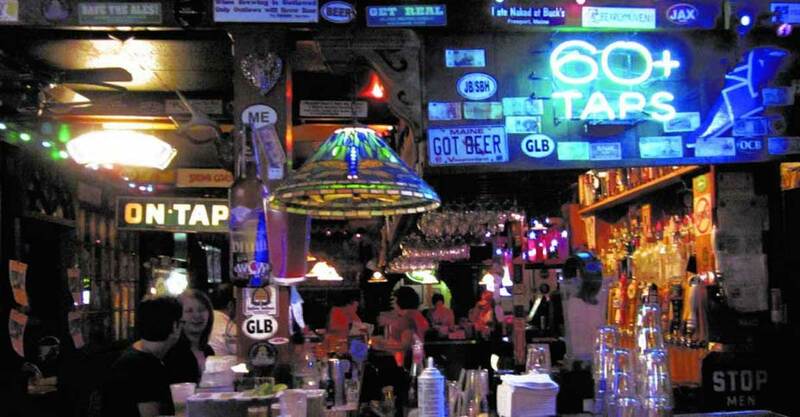 What it is: Frequented by a mix of beer lovers, university students and professors, artists, and regulars, Vices & Versa hits that note of laid-back neighborhood bar and beer geek haunt. 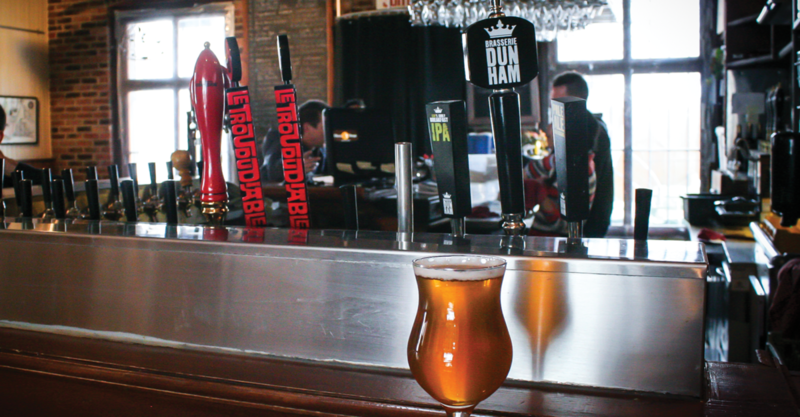 Since opening in 2004, it has become a Montreal beer destination, featuring thirty-two draft beers from great Quebec brewers such as Hopfenstark, Dieu du Ciel, and Brasserie Dunham, plus at least one or two casks tapped weekly. Hours: 3 p.m.–3 a.m. Monday–Wednesday (changes to noon–3 a.m. on June 1), noon–3 a.m. Thursday–Sunday. 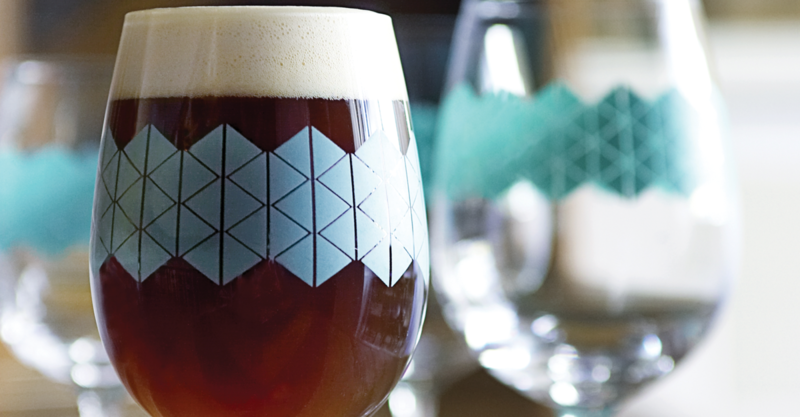 Find more great beer bars in every issue of Craft Beer & Brewing Magazine® Subscribe today. Whether it’s that destination farmhouse brewery in the middle of the country, a burgeoning beer city across the globe, or a brand new brewery in your own state, you know you want to go.